I am a sucker for Posto. Even as a kid, I loved Posto more than anyone at home. 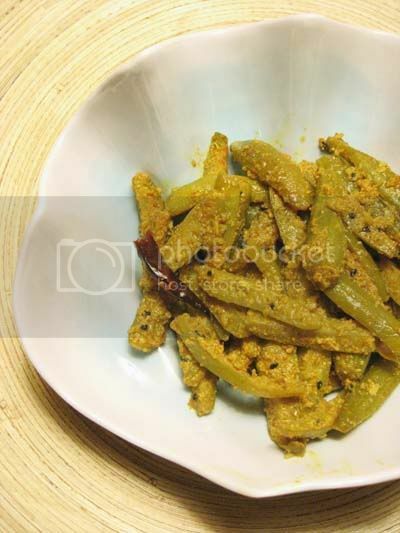 Posto or the tiny beige seeds of Indian Poppy(Khus Khus), ground and seasoned with mustard oil, green chili and little coarse salt, the Kancha Posto bata was a favorite. The fresh smell of the wet ground posto, ground with little water on the shil-nora the black pock marked stone, was like the smell of the wet earth after the first rain. When this ground paste was mixed with a liberal sprinkle of golden yellow pungent mustard oil and slit fiery green chilis the simple paste became filled with a sharp new taste. With white rice it was heaven. The bare wet ground posto formed the base of several other dishes in Posto loving Bengal. The mornings my Ma doled out those fine beige poppy seeds to be soaked in water and later to be made into a paste by the daily house help, I would be ecstatic. I knew there would be alu posto, posto'r bara(poppy seed paste mixed with rice flour etc. and made into fritters) and always a little posto bata waiting for me at dinner. My Probashi and Ghoti family teased me for my love of Posto. They said, that I should be married off to a Bangal and then I could have as much Posto as I liked.Being away from Bengal for long, they didn't know that Posto or Poppy seeds was not a staple for the Bangal, in fact for people from East Bengal(now Bangladesh) Posto is not even deemed as important as it is to People from West Bengal. Posto was actually the food of the people of Rarh, the "land of red soil" on the westernmost corner of West Bengal. More so for the people of Bankura and Birbhum district in this area. This region has a very dry and hot climate and they believe posto has the effect of a coolant and protects them against the heat. In the days when there was no restriction in cultivating Indian poppy and farmers in this area grew poppy in abundance, the posto seeds became an integral part of their diet. A mid morning meal of posto and bhaat protected the farmers from the searing, dry heat as they worked in the open fields. As the price of the posto or Indian Poppy seeds has been rising, the poor in Bengal can hardly afford an ingredient which once formed a key part of their meal. Now to the Kundru Posto or Tindora in Poppy Seeds Paste. Kundru or Tindora was not vegetable common in Bengal. I can barely recall any Kundru-is dish from my childhood. In fact Tindora is or was as far removed from the Bengali Food Culture as is Posto Bata from the Punjabis. I started cooking Tindora or Kundru only after coming to the US, sometimes you need to travel miles to recognize something that was once close to you.But even then I made it not too often. When I saw Sharmila's Kundru Sabzi, I loved the idea of tossing the vegetable with so many spices and then cooking it. And then I also loved how a friend made fried Tindora with some whole poppy seeds sprinkled on top. So why not make a Kundru Posto I thought and as a fusion why not toss the Kundru with some spices before cooking ? And that is how we made Kundru Posto or Tindora in Poppy seeds paste, an inter-region marriage of a vegetable and a condiment from two different regions of India. Chop Kundru or Tindora vertically in 4 longitudinal slices. In a bowl toss the chopped kundru/tindora with little oil, cumin powder, coriander powder, red chili powder , dry mango powder(aam choor), little turmeric and salt. When the spices pop, add the kundru/tindora now coated with all the spices. Saute for a couple of minutes and then cover with a lid.Cover and saute intermittently till kundru softens. I liked ur info about the usage of Posto in parts of Bengal, appreciate ur effoorts. Tindora was never made at our house too. Maybe because it was not readily available in Mysore. I started cooking tindora after I came to the US. It is quite common in Konkani households and N loves it and now, me too. I've never tried any posto dish so far, though I use poppy seeds in quite a few dishes. Each time I see a posto post, I think I'm gonna try it that weekend or something but never have gotten to it. 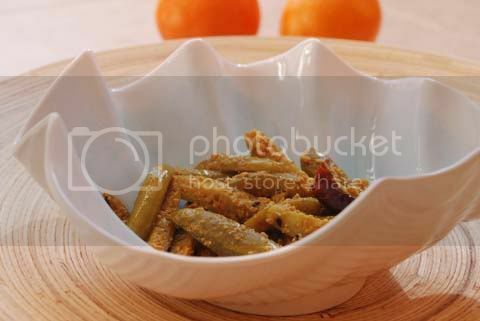 Tendli posto looks delish! Poppy seeds has lots of history that is why it is pricey! Tindora is one of my favourite veggies. I can't make it as well as others so I rarely make it. Back home, it is salted, the water squeezed out and then cooked - I never seem to squeeze it out enough and end up with fat chunks. Someone I know wouldn't make it because it was supposed to dull the mind! How I wish I got these veggies here which i miss so much. I didn't know they used these seeds like this, mostly in kerala they use just tbsp or something like that to chicken dishes to enhance the taste. Tindor posto looks so yumm. I was looking for a tindora recipe all of last week- in hopes of finding something different. Now the tindora is gone and I find the recipe..grr. will make another trip to the store. I sure will try this one out if I chance to get kundru here. In a stainless steel tiffin box, add posto bata, chopped green chilies, chopped onions (red), salt and a drizzle of mustard oil. Steam the box for about 10 minutes by placing it a heavy bottom pan with lid on. Try eating this Posto Bhatay with hot Basmati rice. I learnt this from my Mum, apparently its a Bangaal dish which found its way in a "Ghoti" household like ours too. Tindora Posto, that has me wanting to try it. Tindora was a vegetable (seen it more as a fruit) that grew on hedges which the goats liked to munch on. Only after I came here I knew it can be cooked to a tasty vegetable. I love poshto too!! This is a lovely variation, will try it out. How do you make your wet paste? I've found that I can grind away in the food processor and I never get a fine enough paste! Looks delicious!!! I just discovered tindora on a trip to the Indian grocery store. They are so tasty, but I can't find a lot of recipes that use them. What a cool new way to eat tindora-all I've ever done with them is saute them with cumin, cayenne and turmeric-I've got to give your recipe a shot, I heart aloo posto so I'm guessing tindora posto will be a winner-thanks for sharing! Sandeepa, u make me drool on this curry. I love poppy seeds (especially to rind a spoonful in my mouth) and this combo should be a winner. posto kundro besh bhalo lagche dekhe ..we grew up in UP ,probashi ghoti kinto started slowly liking kundro a lot ..amar shoshor barite jeta ki big joint family+ghoti , amaar parent-in-laws chara eyita keo khete chae na bole eyita hindostani khabar :)..
Hi, though Posto is considered as the king of summer dishes in my in laws place, they are much too fixed about liking alu posto or posto bataa, or posto with kucho chingri etc. In my Mom's house we used to have Patol Posto, Jhinge Posto as well as Kophi posto for variety. Tinda or Kundru or Tindora in our childhood were not really Bong vegetables..... so till date have not been able to try them out in my kitchen as well. Your dish looks pretty similar to Patol posto. So may be will try some day. Take care. I am a BIG sucker for posto too, esp. the knacha bata with shorsher tel & knacha lonka. Kundru diye kono din posto r kotha bhabhi ni! But jhinge is coomon so why not kundru? Besh shundor dyakhachey.. gorom gorom bhaat diye weekend er delicacy for me. great blog. this blog is really amazing. I started cooking these items really nice.. I think its the nutty flavour which I love most of khus khus...tindora is one of my fav veggies- think mostly because my Dad loved it so much and I adored everything my Dad did! Yes, heaven. 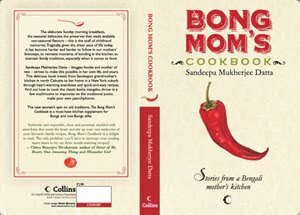 Another fascinating Indian recipe. Poppy seed paste sounds gorgeous. Many Europeans use it (black/blue kind) sweet in their baked goods. I've always been a fan. Give me posto anytime . I studied for 2 years in Santiniketan and believe me I lived on posto in so many forms - baata mostly .Dont eat tindora - kintu potol posto, piyaj posto jhinge aar alu posto toh achhey..
amar baba tindora ke bole garib er sosha...he he. I love kundli posto. tomar ranna ta sotti fatafati hoeche. I always add khuskhus in all my masalas..good to know one more Posto !! Let me know how zucchini turns out, god idea. I used to dry grind the poppy seeds earlier because my blender wouldn't do it right. First time here..tindora posto looks so yummy..i think you use posto with potatoes as well am i right? i've eaten once in India from our bengali neighbour..i've got to try it..thanks for sharing..you've got a lovely recipes on your blog, i am sure i'll try few of them..
We love Tindora at home and I am so used to making the regular tindo fry. I sprinkle little bit of poppy seeds at the end on some of the curries. But this one takes it a great new level. Sandeepa, Kurma is a south Indian term but mainly Kannada word, usually spelled Kurma instead of Korma or Qorma, slightly different ingredients too than a North Indian Korma.Poppy seeds is very typical in Karnataka cuisine, used almost everyday in my grandparents home in saaru masala, Saagu etc. It turned cold 30F and icy rain here today. Bummer! That is different twist to the kundru/tindli/tindora. I did not realise that this veggie was popular among Bongs. Thought its cousin the pottol was more preferred. Tindli is quite popular in Western India - Gujarat and Maharashtra. I am a typical Ghoti so is my hubby...so we love our Biuli daal, posto bata, postor bora, alu posto, jhinge posto, potol posto, chingri posto...the list is endless as u can see....anyway I was trying to narrate an incident...We had gone to Kolkata for a vacation...so one day after both of us returned home my mother-in-law served me roti and sabzi and to my hubby is a bheto bangali bhaath daal and something which looked like a posto bata...but it had a more darker tint to it...I tried it from my hubby's plate..it tasted divine..on quizzing my MIl she said she adds chatu(sattu) to it..pardon my ignorance..I dont know what it is called in english....I dont know the exact proportions but since u too are so fond of posto bata u can try it out!!! I have never tried cooking tindora..but am intrigued now after reading ur blog!!! Its looks amazing and make me hungry. Thanks for share that recipe. Keep it up. Posto and narkel (coconut) bora is fantastic, Make posto paste, add grated coconut, musturd oil, green chilli, salt and little sugar and deep fry. Great with rice. Hi can you tell me what white oil is? Hi, i am from a ghoti family. So from childhood days i am a great posto lover. Kundri posto was one of the most favorite dish of my mom. But her recipe was little different. Any way your recipe is great. I tried it few days back. Really very yummy. Thank you for sharing. God bless. Tindora is called Kunduri in Bengali. It is poor man's vegetable maybe that's why many of you haven't heard of it being cooked in your homes. So not quite right to say it is removed from Bengal. This post started my obsession with Poshto. Thanks for sharing. I asked my husband to buy Patol, But he bought Kundru.. I din't know what to do with them... Thanks to you..I am so making this tomorrow.